Life is often so hectic Nick and I don't get the chance to have a date night of any sort. Most nights it's more like ramming some food down our throats, Mr C then dashing off to volunteer, me parking my bum at my desk to blog and the kids going off out to do their own thing! Although, thinking about it we did have a recipe box delivered recently and enjoyed cooking up a storm together with that. 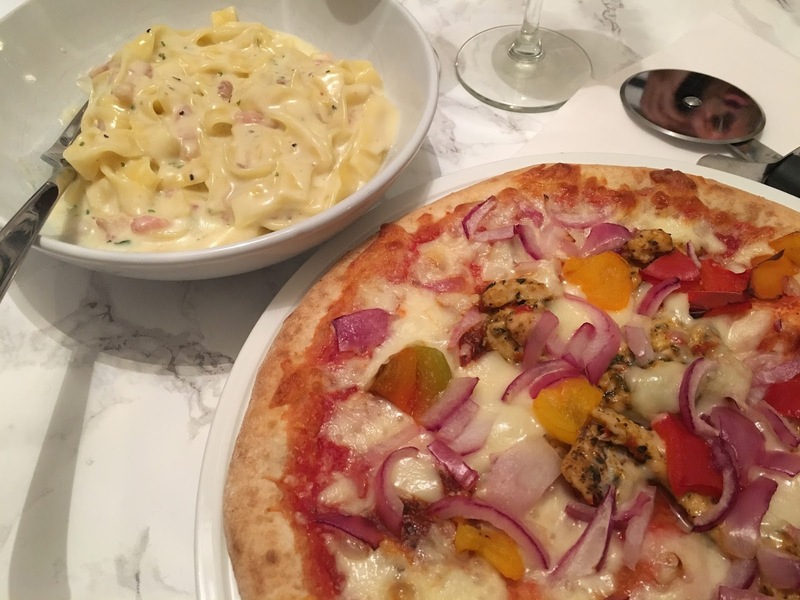 BUT, Friday night we made a pact to have a chilled night in and go all Italian with a little help from the new Pizza Express range at Iceland. 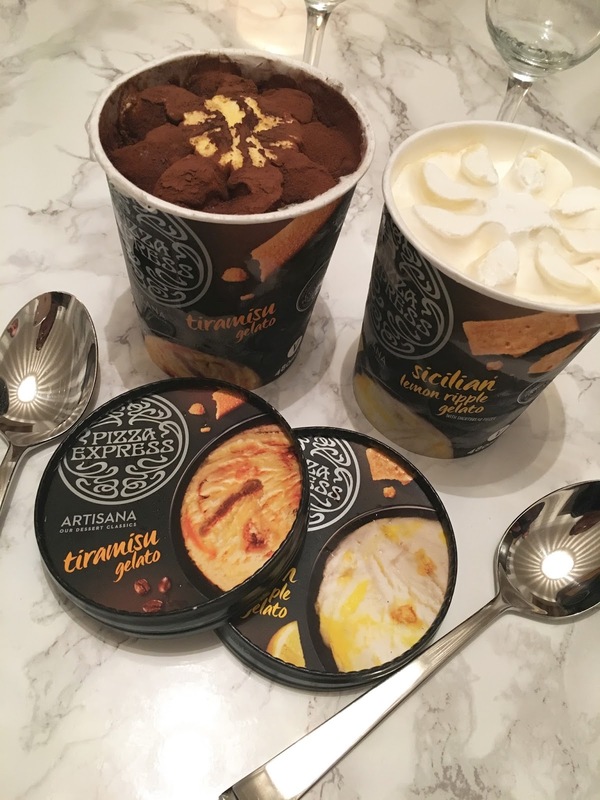 We do love Pizza Express so it's great to see they've partnered up with Iceland and launched their Artisana range for us to enjoy at home which includes a small selection of pizza, pasta and gelato. Yay for gelato. Developed using authentic ingredients, they reflect their restaurant quality but with unique recipes and flavours. 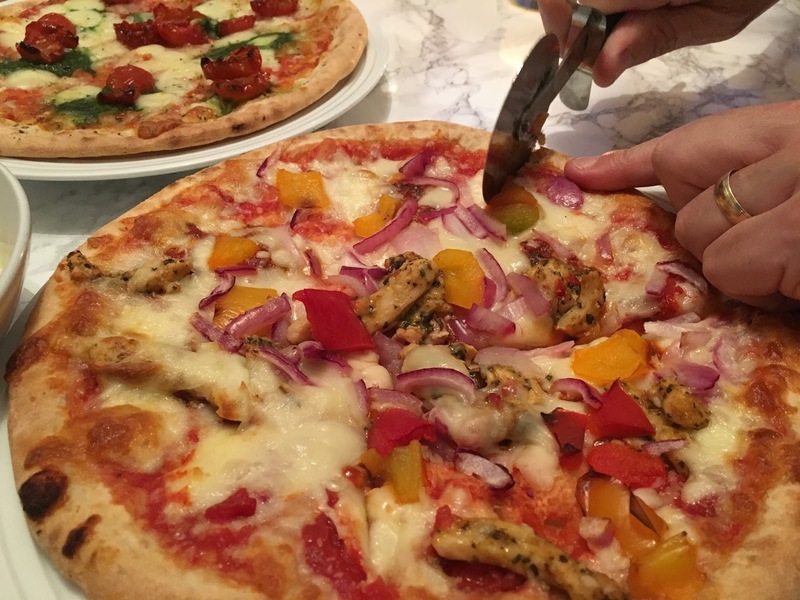 The chicken barbacoa pizza* and the pasta carbonara* are the latest in the range so that's what we picked up, along with another pizza (pomodoro) and possibly a couple of the gelato tubs to try. I mean if you're going Italian you gotta have the gelato right?! The pizzas were popped in the oven and the prosecco poured. The carbonara was pinged in the microwave for quickness once the pizza was cooked. The verdict on the chicken barbacoa? Utterly delicious and full of flavour and every last bit was devoured. The sourdough base was beautifully crispy, just the way I like it, and it had a subtle amount of spice from the spicy chicken and the chipotle salsa. The carbonara was creamy, garlicky and cheesy, everything that it should be. We shared the carbonara, didn't want to come across as the biggest gannets ever, but I think the portion is on the small side even for one, but ideal for a quick snack I guess. The gelatos were sublime. I think Nick died and went to heaven with his tiramisu tub. The Umm's and arghh's went on forever!!! I went for the lemon ripple with shortbread pieces and that was mouthwateringly good. Frozen from fresh it's great way to bring all those flavours found in your local restaurant to your freezer and a fabulous way to bring a taste of Italy to your home. 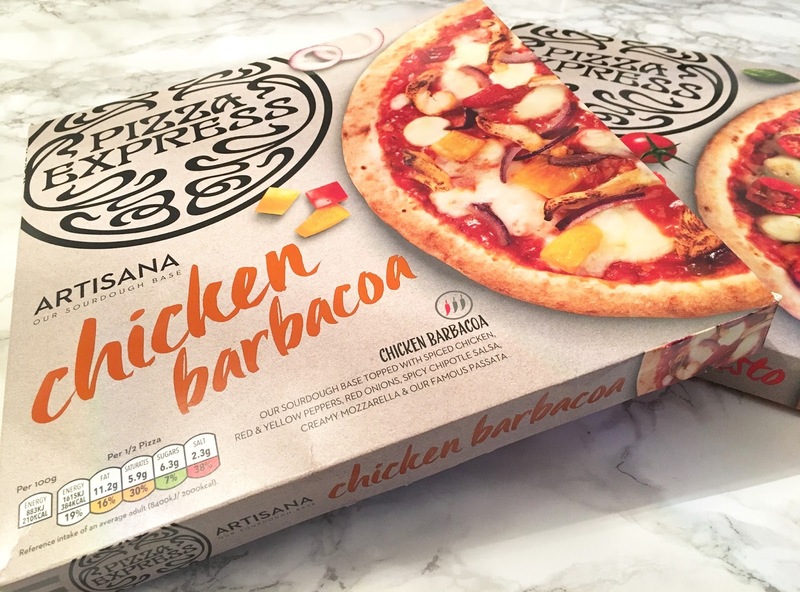 If you're a fan of Pizza Express I think you'll love the range that's on offer at Iceland. To be honest, for us it was great to just pop something in the oven, and have a chilled out night, most definitely something we need to do more of. 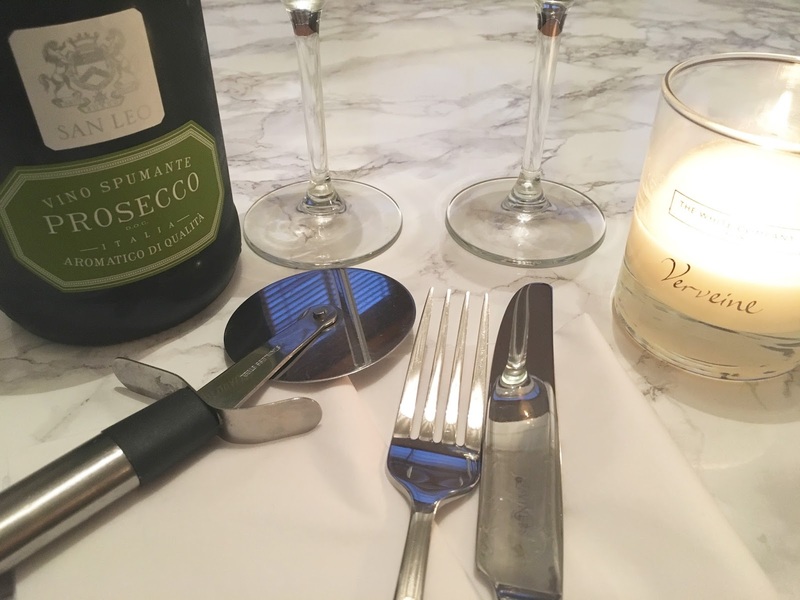 Do you make an effort to have a date night?